There have been several hints earlier this year, but now it is official. 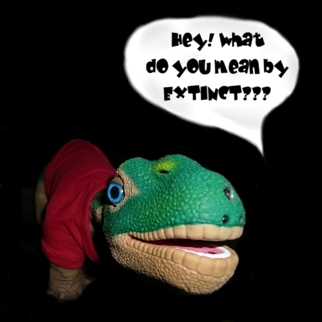 Ugobe, the maker of the robotic pet dinosour Pleo has just filed chapter 7 bankruptcy. A software development kit (PDK) had been promised by Ugobe to the developer and research community, but unfortunately it has never exceeded prototype state. The only successful entertainment robots I have seen so far, are essentially children’s toys with very low end sensors and actuators selling at a very low price tag, such as the RoboSapien and its kin. I am quite sure, that the reason is not that adults do not like robots - when I conduct experiments with AIBO, most participants are fascinated by the little robotic dog - but I doubt, this is enough to make people actually buy a robot which is essentially an expensive toy. For the adult mass-market [which (unfortunately )does not primarily consist of geeks and early adopters] a robot needs to be not only cute and fascinating but, above all, it needs to be useful. As useful functionality is still quite hard to implement in a small and affordable robot (How about crossbreeding AIBO and Roomba? ), I think we’ll still have to wait a couple of years for the first entertainment robot to become a commercial success. Anyway, good bye, little Pleo!